Currently there are no events planned for the U23 age category. The latest event were the Worlds 2015 in London. With 6 victories out of 9 games, they claimed the 13th spot out of 20. 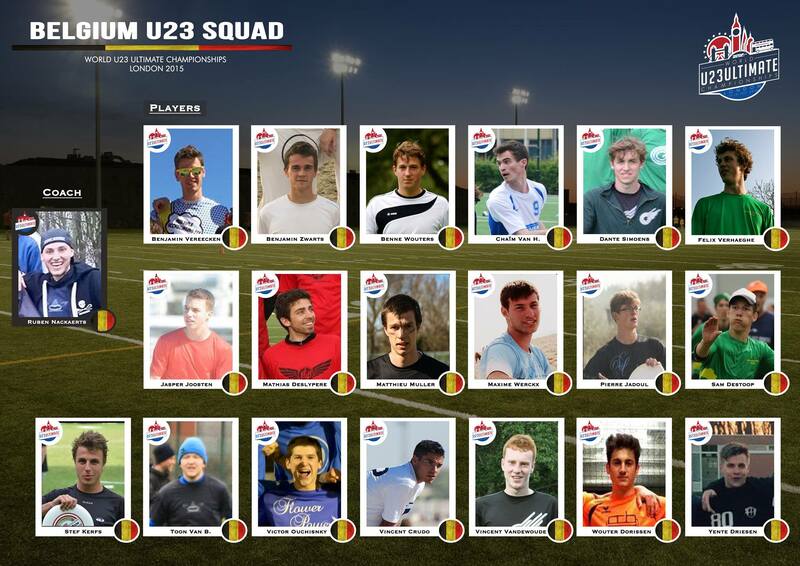 Belgian U23 come 13th @ Worlds 2015 (London) (12/28/2015)- The Belgian U23 team came 13th at the World Championships in London in 2015. Since there is no event for the U23-team any time soon, at the moment no team has been composed.